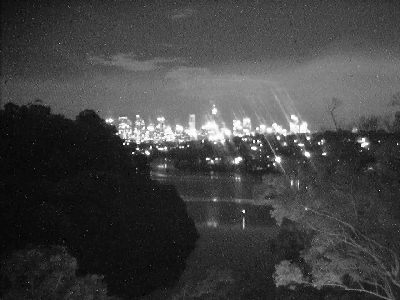 Sydney City Webcam's imagery is provided by a Ness (Dynacolor OEM) Nighthawk High Definition Day/Night Network Camera with Sony CCD camera element. We use a base image of 1280 x 960 pixels (which the camera can provide at 12.5 fps if requested) for a megapixel high definition image. 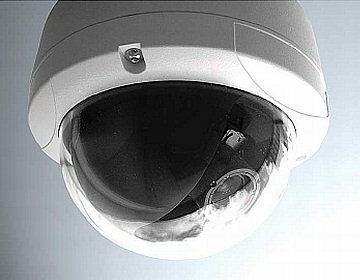 Image processing is applied to provide a reasonable compromise between day and night light levels, exposure, colour saturation and low light noise reduction. These compromise settings have been put in place solely to allow the camera to stay in full colour even in low light dark evening lighting conditions so the colours of the city building lights and river navigation lights can be seen at night. The Ness Dynacolor Nighthawk is an exceptional low light camera and works down to a very low lux, but like many cameras the default high resolution night mode operation is based on infrared (IR) so the picture becomes monochrome. 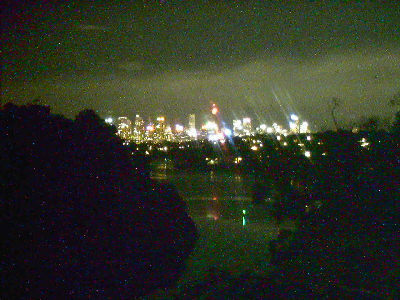 Sydney City Webcam chose to forego higher night clarity to keep our Sydney Skyline images in colour. The downside of our choice is some bleeding of high brightness sources at night and reduced colour saturation during the day but all in all we believe that most visitors enjoy the City Skyline imagery in colour moreso than the additional night time clarity. viewing from the Lower North Shore suburb of Linley Point - Lane Cove Municipality in day/night megapixel high resolution.